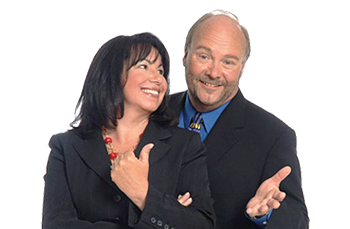 10 Steps to Selling Smarter, Selling More! Let that set in for a second . . .
Seventy percent (70%) of customers will leave your store and never return to do business with you again because of the quality of the interaction with the people who work at your store. The good news is that the quality of that interaction is completely controllable by the store owner or manager. It takes observation, training, and reinforcement of what’s good, and a strong discussion and retraining about is not. Let’s take a look at how to connect with customers and keep them coming back for more . . .
1. Keep everyone up-to-speed and ready to work with customers. It’s your job to keep everyone informed, so hold a daily 10 minute meeting with your team before the store opens, and again before each shift. 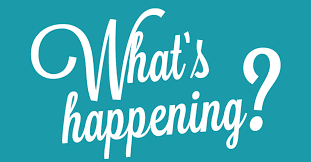 Cover what’s new, what’s hot, and what’s happening that day. Talk about new product, upcoming events, what customers have said that is important to know. In other words, discuss what your associates need to know to properly do their job that day. Get in the habit of holding this meeting every day. 2. Walk the entire store every day. Retail happens. You receive new merchandise and move products around. If you’ve ever heard an associate to say, “It was right here yesterday!” you need to adopt our 360 Degree Pass-by exercise; a quick walk through the entire sales floor. You’ll easily notice which areas need attention, but you’ll also take in new merchandise, and see where older product has been moved. The 360 Degree Pass-by should be done by every person, every shift, every day. 3. Pay attention to a customer’s first 10 seconds of contact. Most shoppers who come to an arts supply store are there for a reason. Have you ever wondered why people immediately say, “I’m just looking” when you’ve only said hello? 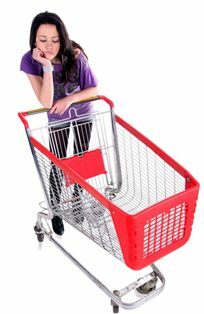 It’s because customers not only create a mental image of the shopping experience, they create one for your store that’s often based on a past experience in your store, or maybe even a competitor’s store. In our focus groups we often ask why shoppers are so quick to throw out the “I’m just looking” response. One of those reasons is because they think they are being judged the second they enter the door. Younger customers complain they are passed over in favor of older customers; older customers complain they are invisible in some stores. You can never pre-judge a customer because you never know where your next great sales will come from. There’s a retail legend that tells the story of the farmer who visited a Sears store, dressed in overalls, his boots covered in manure. None of the full time associates wanted to wait on him, so a part-timer approached the farmer and asked how he could help. Turns out the farmer had promised his wife a brand new kitchen for their old farmhouse, and he was there to buy whatever it took to outfit the rooms. This was a five figure commissionable sale that was paid in cash. Part-timers did not earn commission, but the full-timers who did were cheesed off. It was their own fault for ignoring the farmer. Never pre-judge a customer. Now, let’s look at it from the associates’ side because you don’t want customers pre-judging them either. Does your store have a written dress code? Dress codes make it easy for shoppers to identify your associates, and it upholds your brand to your standards. This is especially important these days because people tend to dress on the ultra-casual side. We don’t care if holey jeans are fashionable or if flip-flops are comfortable. Think of the message that’s being sent. 4. Watch how you interact with customers. Some researchers say that the majority of how we communicate to one another is done through body language. If that’s the case, then we need to consider how customers perceive that body language. An associate who crosses her arms can be as poorly perceived as one who rolls her eyes at a customer’s question. Associates who invade a shopper’s personal space aren’t high on the interaction list either. And a two or more associates having a conversation on the sales floor – warranted or not – can cause customers to keep away from them, rather than approach when they need help. We spend days at a time watching how customers enter stores. It’s usually in one of three ways: in a panic – this customer needs help NOW; on a mission – this customer has come for a specific thing; or on a leisurely walk – she’s enjoying being in your store. Each of these three customers has a clock in her head that registers perceived time versus real time. We might, for example, ask a shopper how long it took before an associate approached them. The response might be 10 minutes, even when our stop watch registered just 60 seconds. That’s perceived time, and it rarely works in the retailer’s favor. 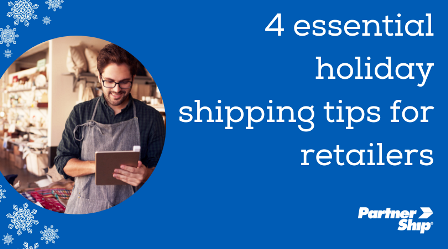 So train your associates to approach each type of shopper accordingly. And check back frequently when necessary. Our 7-Tile Rule™ will help you acknowledge every customer, and build a strong customer service perception at the same time. Smile, nod or engage in conversation each time you come within seven feet of a customer. That simple smile can make shoppers entire in-store experience. The automatic response to that question is always “no”, so stop saying it. “May I help you?” only works when the customer is clearly in a hurry and needs immediate help. So, what can you ask instead? How about, “Good morning, it’s great to see you today!” Talk about the weather, the customer’s kids, anything but the store. The goal of what you say is simply to greet the customer and make her feel welcome. If the customer wants to browse, let her browse. But if you sense the customer is looking for something in particular, ask, “So, what brings you in to see us today? Anything special?” This will open a dialogue. Once you have started a conversation ask the customer if it’s her first time in the store. If she says yes, offer to take her on a quick tour of the sales floor. When the customer tells you why she is there it’s time to uncover what she wants and why. Open-ended questions that start with who, what, where, when, why or how will enable you to get a good idea of why she’s there, plus which items to show her. Customers who offer too much information, or basically none at all, will respond better to closed-ended questions that only require a “yes” or ‘no” answer. Closed-ended questions help you gather information and move the conversation along. Show all the cool things inside that artist box, demo how that easel works, let the customer play with the merchandise – you get the point. Interactive experiences build value. 9. Always, always, ALWAYS to try add-on to the sale. “You want fries with that?” Ummmm, yes! A quick Google check found that a large McDonald’s fry can be yours for just $1.89. Add that $1.89 to the gazillion number of fries the fast food giant sells each day and that little add-on adds up big time. At McDonalds, adding-on to the sale is automatic. Teach your associates to do it, too. Here’s the thing: customers won’t buy additional items if you don’t ask! Adding-on isn’t pushy; it actually helps when it’s done ethically. Wouldn’t you rather have had the cashier at the toy store ask if you needed batteries for the toys you were buying? It would have saved you another trip to the store. Think of add-on selling as a positive; it not only increases your average sale, it strengthens customer relationships, and saves them time and frustration. Invite the customer back to visit you again, tell her about upcoming classes and in-store events. Invite her to sign up for your newsletter. Tell her about the fun things you do on Facebook and other socials medias. Let her know where to find project sheets on your website. This 30 second dialog will make her feel important to you and your store. These 10 easy steps will help you build relationships that keep customers close, lift your team to higher levels of success, and increase your average sale. And really, who couldn’t use more money in their pocket? will be sent out on Monday, October 1.
and have Notifications activated to participate. Members will be asked a question about an something that can be found on Namta.org. 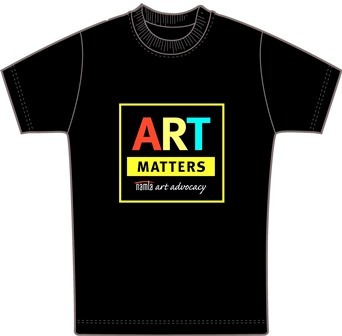 The first four members to answer correctly will receive an Art Matters T-shirt. Recent winners of the Namta 365 App Push Notification contest include . . .
* At the end of 2018, all Push Notification Winners will be entered in a drawing to win a $50 gift card. Myth 1: You can’t plan for the weather. Myth 2: It all evens out in the end. Myth 3: Consumers will shop during the holidays, regardless of the weather. Myth 4: My products aren’t seasonal, so the weather doesn’t affect me. Myth 5: I’m an online retailer — the weather doesn’t impact me. "If we don’t change the way we think, we will lose a whole generation of consumers." from Forbes.com - Cooper and his team laid out a future of urban-dwelling Millennials who don’t have cars and are unwilling to drive out to, as he put it “a blue box in a potato field somewhere”. To me, what’s most remarkable about what IKEA is doing is that they are trying to disrupt themselves – they’re not really waiting for the business to show the stress of changing consumer expectations before they make a change. Certainly, everywhere that IKEA opens a store today, there are still long lines of consumers waiting to get inside. And my local IKEA is still a zoo on the weekends. But IKEA not only recognized the demographic and behavioral shifts that will eventually leave their big blue boxes in a tenuous position, they’re working now to create the future. This too is an important lesson for retailers: don’t wait until your stores are in desperate straits to figure out how to change. It takes a long time to change stores, and if it’s not Millennials that will disrupt you, then Gen Z certainly will. You can play it safe and die, or you can stay relevant and find success. 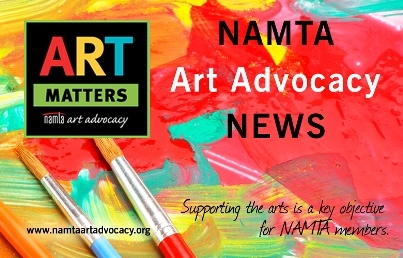 Namta Art Advocacy News went out by email on September 3rd. The high arts-involved students also watched fewer hours of TV, participated in more community service and reported less boredom in school. 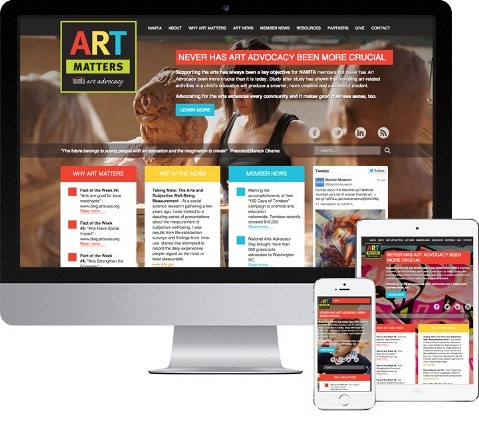 Visit Namtaartadvocacy.org for news, resources, and facts about Advocating for the Arts. The prospective candidate should be knowledgeable, enthusiastic, passionate, and energetic, and should have teaching experience, preferably on the college level. 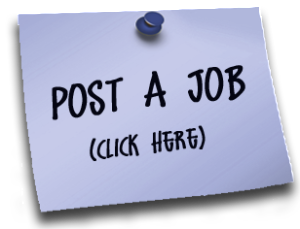 The ideal candidate is a painter who is knowledgeable in oil, acrylic and watercolour media. We also require that the candidate holds an MFA in fine art. We will train him/her with all of the necessary technical information. In addition to a per demonstration compensation, we provide a yearly stipend for art materials. Interested candidates should send a current résumé, artist statement and website link to Jimmy Leslie, Director of The Fine Art Collective [email protected]. 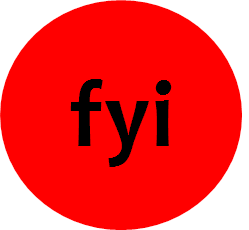 Additional Information: We know that offering great information is just as important as offering great products. The Winsor & Newton and Liquitex Fine Art Collective education program consists of a select team of skilled artists, most of whom are college professors, who visit colleges and retail art stores to offer dynamic, entertaining, and highly informative programs about using artists’ materials to their very best advantage. Currently we have part-time, contract-based positions available in the region of Washington DC and Montreal, Canada (French and English speaking in Canada) Our artists present two hour demonstrations about the proper use of art materials at universities and retail locations. This is not a sales program, but rather one that aims to educate and inform artists about materials and topics that will help in their own work, as well as be inspiring and exciting. 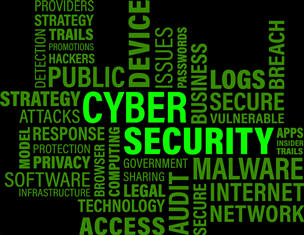 The role cybersecurity should play in 2019 IT budget planning, as CXOs set out to plan their IT budget, changes in the security landscape must be top of mind. If you were to ask IT pros what causes them the most stress in their jobs, many would likely say cybersecurity. According to a 451 Research Digital Pulse survey of IT generalists, 36 percent pointed to information security as the topic that keeps them up at night. "Threats continue to multiply and expand; breaches seem to be getting worse, in terms of scale, depth and sophistication," said Steve Wilson, vice president and principal analyst at Constellation Research. "Data is the lifeblood of the new digital economy, and the sophistication of criminals seeking to exploit that is growing all the time." According to a July report from Neustar, IT security professionals are twice as concerned about data breaches and cyberattacks as they were last year. And that concern is impacting the budget process, as 17 percent of the respondents to 451 Research's survey cited information security as the largest budgetary increase area in 2018. Daniel Kennedy, a research director at 451 Research, told ZDNet that the firm's Voice of the Enterprise Information Security study found 80 percent of organizations were planning to increase security spending overall this year. Still, understanding that cybersecurity is critically important is one thing; understanding how it should impact your 2019 IT budget planning is something else entirely. Budgeting is (obviously) all about the money, so let's start there. As Gartner vice president and distinguished analyst Paul Proctor, told ZDNet, the biggest mistake you can make when budgeting is to blindly throw more money at your security team and expect better results. "I'm not a fan of what is the most common practice out there, which is to ask how much are others spending on cybersecurity," Proctor said. "That is not useful, because there are organizations that are spending a ton on cybersecurity and they have very bad risk postures, and there's others that aren't spending very much but they have very good risk postures. The bottom line is: It's about their level of readiness." For Proctor, readiness is not about how much you spend on controls, but how good your controls are at defending your organization. The amount you're spending doesn't always correlate with your security maturity or readiness level, he said. Instead, leaders should be asking themselves if they have the level of readiness they want and, if not, whether they need to spend more to get there. Many CFOs don't look at readiness, Proctor said. They ask about industry benchmarks for spend, but neglect to ask about value for money. When it comes to security, "CFOs should always ask the question, 'what am I getting for the money I'm spending? '," Proctor said. Once you understand that correlation between your readiness and what you're spending, you can begin to have deeper discussions around the price/performance ratio. This allows you to ask whether or not you can spend less with other tools or outsourcing and maintain the same level of maturity and security readiness, Proctor said. Essentially, said Constellation Research's Wilson, it boils down to this: "What the IT function does with its cybersecurity resources is more important than how much they spend." According to 451 Research's Kennedy, citing a study by Javvad Malik, security products are rarely retired. In fact, they're usually just added to and built upon, which can cause some problems around the build up of unnecessary shelfware. This also stems from products bought strictly for the sake of compliance that may not have been aligned to any business goals. When pruning, Kennedy said, "look for products that you aren't getting current value from, and were implemented under murky circumstances or justifications -- an auditor who is no longer around insisted on it, a champion of that project or vendor has moved on, etcetera -- or where a different product you have in place is creating the same value." However, he cautioned, security budgets seem to be increasing all around, and now might not be the best environment for cost-cutting in information security. Kennedy and his team are seeing predicted increased allocations toward cloud infrastructure security, managed services, user behavioral analytics, and orchestration/automation type solutions, he said. 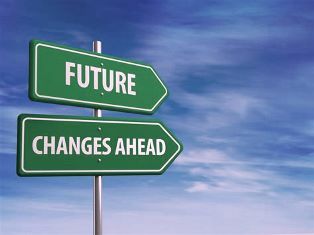 Distinct line items such as security personnel, security training, threat monitoring, vulnerability assessment, security tools, security upgrades, and continuous improvement should exist, Wilson said, but they need to be factored into IT across the board. "Cybersecurity should be thought of as a component of enterprise risk management -- though not necessarily run by enterprise risk -- and what follows from that thinking is that HR, finance, operations etcetera should all have some 'allowance' for security," Wilson said. Overall, when looking at a tool, it's important to gut-check the hype that surrounds it, Proctor said. "Don't follow the snake oil," Proctor warned. "Yes, AI is going to be a big deal in security right now, but people are spray-painting the concept of machine learning and AI on every single thing they do." IT needs to be very careful with its spend in areas like AI as they are developing. Look for what can add real value to your organization. The same thing could be said for IT when determining what threats it believes it should protect itself against. Despite how publicized ransomware has been the past couple years, Kennedy said that only about 13 percent of organizations represented by 451 Research's respondents had been victims of ransomware, and most of them just ended up reimaging the data from an available backup, he said. To put it simply, don't chase headlines as a strategy of figuring what threats are the most relevant to your organization. And, if you have no idea where to start in terms of navigating the threats on the horizon, Gartner's Proctor offered a simple solution. "If you don't know that answer for your organization, invest in threat intelligence, which will tell you what threats you should worry about," Proctor said. Indeed, taking a risk-based approach to security postures and budgeting seems to be on the rise, according to Proctor. As such, that may be something that CFOs need to consider -- whether or not they want to shift to that security model and change their budget to accommodate it. Located in the United Kingdom, Cranfield has, quite literally, stood the test of time. Artists of all disciplines using their Oil Paints and Printmaking Inks have found their works, and reputations, enhanced by the undiminishing quality of our colours. They are artists in their own right when it comes to colour creation, using three generations of experience to produce highly pigmented inks and paints that put the artist in control. David Pinkerton from The Art Store, est. 1989, located on King Street in Lancaster, Pennsylvania recently lost his current lease, and has decided now is a good time to retire from his retail store. David says they've made a great living in the art materials retail business over the past 29 plus years. David is offering the sale of the store's inventory that can be moved to a new location in Lancaster, or to another location you have. Lancaster has a great arts community with many art schools including Pennsylvania College of Art & Design, Franklin and Marshall College and Millersville University. There are many local working artists and Gallery Row on Prince St. David notes that business in Lancaster remains very strong and viable for a new owner and is a top tourist area with new corporations and approximately 800 new jobs coming into the downtown area this year. Contact David at [email protected] or call 610.207.2710. CPSA held the awards banquet in early August for the 26th Annual International Exhibition. Fourteen artists were recognized for their outstanding work. 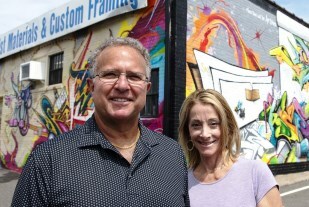 Jeff and Susan Shoham, owners of Jerry's Artarama of Connecticut, are celebrating 25 years. They were featured in the Hartford Courant in an article about their journey, from building their business from the ground up to becoming a community staple as the go-to art supply store for creative endeavors. Read Article. Can You Fix a Toxic Workplace? Think about your favorite boss. Did you care about where they went to school, what degree they had, or even what they accomplished before you knew them? All of this was irrelevant to your relationship. But what about the hour they took to listen to your problem, and the steps they took to help? How about their readiness to roll up their sleeves, get down in the trenches, and do whatever needed to be done? Actions like these inspire trust. People nowadays are worn down and underappreciated. These two factors are a breeding ground for toxic behavior--because when people don't feel valued, they lose their desire to try. What's the antidote? Sincere and specific commendation. Train yourself to look for the good in others. When you see something you like, tell the person right away. Set aside time to handwrite thank-you cards. Tell your people what you appreciate, and why. Everyone deserves commendation for something. By learning to identify, recognize, and praise those talents, you bring out the best in them. Let's say you ask me how to get somewhere you've never been before. I could outline step-by-step directions, draw you a map, even provide details about landmarks to look out for. Or I could say: "That's not too far out of my way. Why don't you just follow me?" Nice-sounding value statements, rules, and processes will only get a company so far. If you truly want to affect your culture, work hard to show others your values and priorities, and they'll naturally follow. Being humble doesn't mean you lack self-confidence or that you never stand up for yourself. Rather, it involves recognizing that you don't know everything--and being ready to learn from others. For example, if you're younger or less experienced than colleagues or clients, acknowledge that and keep it in mind. If you demonstrate a willingness to learn, you will display humility and naturally earn respect. In contrast, if you're older or more experienced, show respect by not quickly dismissing new ideas or techniques. Instead, dignify those you work with by asking for their opinions and perspectives--and actually paying attention when they speak. Humility also means being willing to apologize. "I'm sorry" can be the two most difficult words to say, but also the most powerful. When you're willing to admit your mistakes, you make a big statement about how you view yourself in relation to others. This naturally draws others closer to you, building trust and loyalty. After you've done these other four things--and only then--can you begin to share critical feedback. This is vital because many people find it difficult to hear that they need to improve on something. But if you don't share that feedback, they'll never grow. If you make sure to gain their trust first--and deliver your feedback with emotional intelligence--they'll no longer interpret your critical feedback as a threat. Instead they'll see it as an effort to help, to make them better. Remember, it all starts at the top. If you hold a leadership position, whether you're the CEO, middle manager, or team lead, never underestimate the power of your influence. Every time you get down and dirty, every word of commendation or thank-you note you give, every time you set the example, every mistake you admit, and every piece of constructive advice you give will contribute to building deep and trusting relationships. And help you turn toxic into thriving. More FYI . . .
Don’t Go! 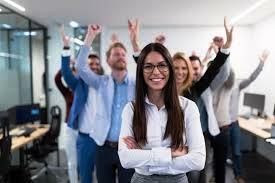 Surging Business Sales Make Staff Retention a Must! NAMTA Members Can Save on FedEx® Shipments - and More! Visit PartnerShip.com/NAMTA for complete program details.